Supporters of Neal and Amatul-Wadud waived signs and chanted outside the WGBY studios in Springfield where the candidates recorded a half-hour debate. Neal is a nearly 30-year incumbent who is line to become chairman of the powerful House Ways and Means Committee if Democrats retake the majority in the November election. Amatul-Wadud is family law and civil rights attorney who is making her first bid for elected office. 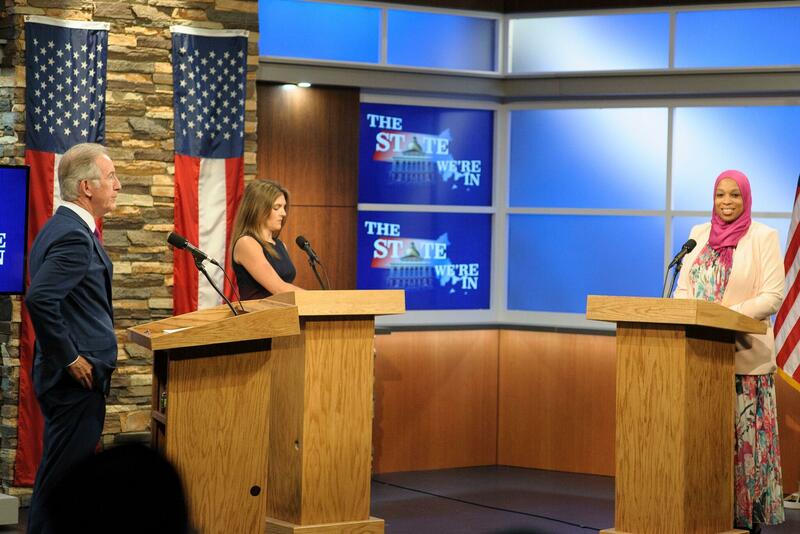 The debate recorded earlier for broadcast and streamed by WGBY was the second and final debate between two candidates before the Sept. 4 primary. 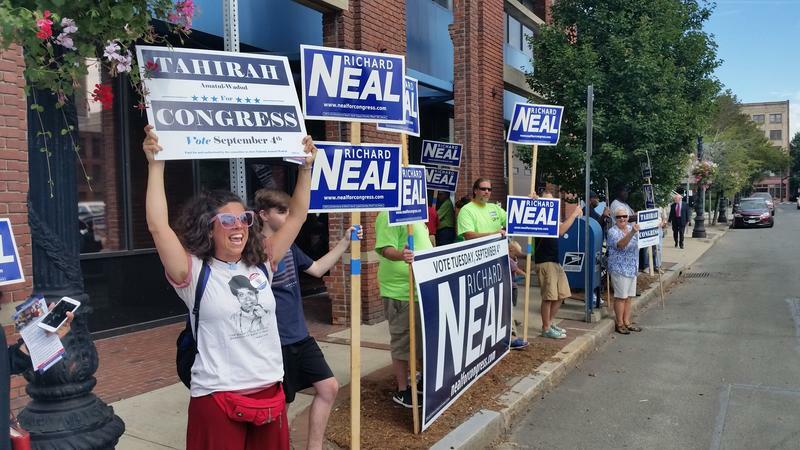 As dozens of their sign-waving supporters rallied on a street corner in downtown Springfield Thursday, U.S. Rep. Richard Neal, a nearly 30-year incumbent, and political newcomer Tahirah Amatul-Wadud, a family law and civil rights attorney from Springfield, took part in a final debate. 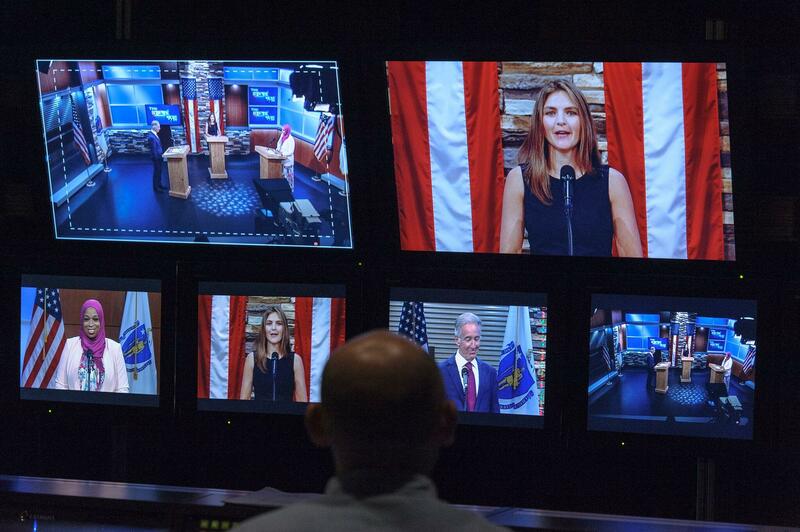 Recorded at the studios of WGBY-TV at noon for broadcast in the evening, the half-hour debate afforded each candidate a chance to highlight the themes of their respective campaigns. For Neal, it is all about his experience and track record in bringing federal dollars back home from Washington. "I have brought back hundreds and hundreds of millions of dollars to this district that has created more economic opportunity," said Neal. 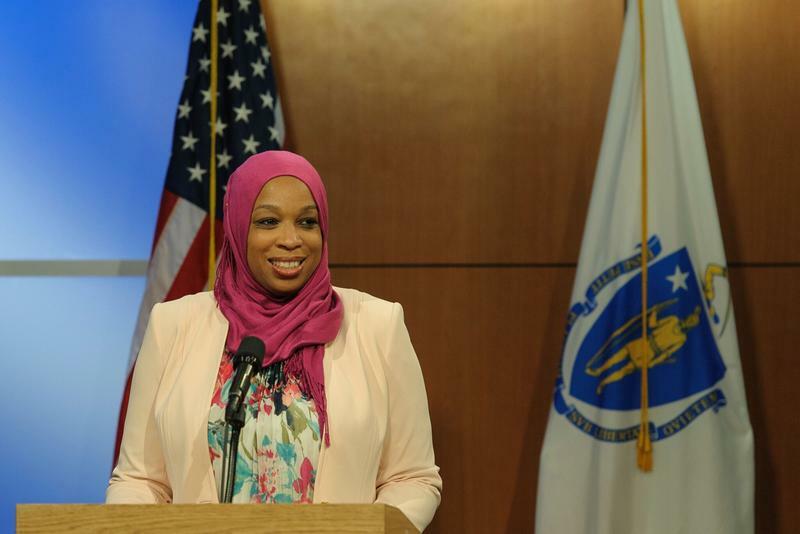 Amatul-Wadud stresses a progressive platform that includes single-payer health care, raising the minimum wage, and bringing broadband to rural pockets of the district. "I am the face of the future," declared Amatul-Wadud. Predictably, the two clashed over campaign financing. Amatul-Wadud has not taken PAC money and has criticized Neal for banking contributions from the insurance and pharmaceutical industries.
" Why don't we have bold leadership? Why don't we have fresh leadership? He is beholden to the special interests. He is employed to maintain the status qou," said Amatul-Wadud. " It is unacceptable." Asked by debate moderator Carrie Saldo to respond, Neal said, " Let me accept the firefighters, let be thank the teachers and those in the trades unions that have supported by campaign. And, let me thank one of the most important growth industries in Massachusetts today: life sciences." As of a few weeks ago, Neal had just over $3 million in his campaign account, roughly 100-times what was last reported by Amatul-Wadud, whose campaign missed the most recent campaign finance reporting deadline. Neal’s campaign reported spending almost $500,000 on advertising. Amatul-Wadud has tried to make up for a lack of money with shoe leather. She claims to have traveled 50,000 miles during the campaign to visit with people in the sprawling district that consists of 87 cities and towns and includes all of Berkshire and Hampden Counties and parts of Franklin, Hampshire, and Worcester Counties.
" We have given a microphone, if not a megaphone, to the needs of the people in the rural district," said Amatul-Waddud. 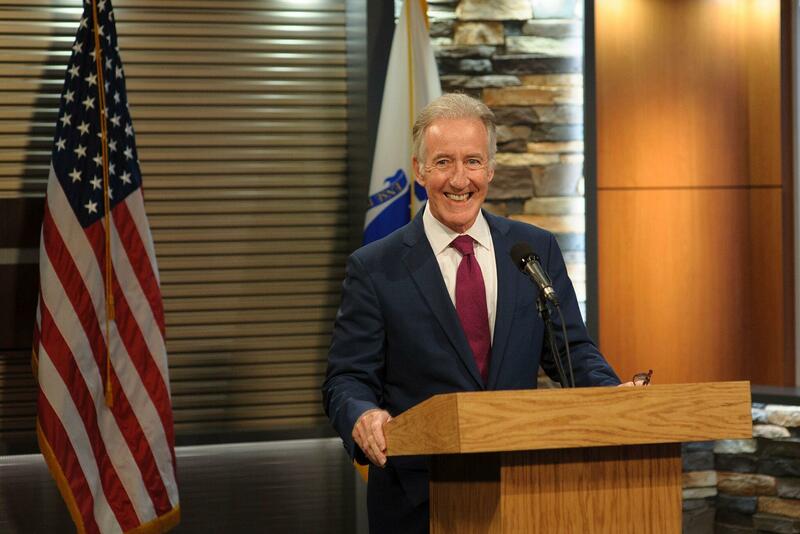 Countering criticism that most of his attention is focused on Springfield, where he was mayor before being elected to Congress, Neal asserted that he has participated in more than 500 events throughout the district during the last five years.
" I have been around this district. People know me whether it is from Worcester County to Berkshire County and we've tried very hard to make sure everybody has been included in that undertaking," said Neal. Amatul-Wadud said Neal claims too much solo credit for earmarking tens of millions of dollars in federal funds for the restoration of Union Station, which is seen as one of the signature achievements of Neal’s career. At the same time, she questioned the overall benefits of the massive project.
" I have heard from folks that they are very deeply concerned that Union Station is the reason they are recieving an increase in transportation costs," said Amatul-Wadud. "For disabled and poor people in the inner-city these are quality of life issues that have not been answered properly." Neal said her claims “don’t stand up to critical analysis" and added she was the first person he had heard critcize Union Station.
" I think the people in western and central Massachusetts are overjoyed at the prospect of having an enhanced rail system that includes Connecticut Rail, that includes Amtrak, that includes bus transportation." After the debate, which was recorded for airing almost 8 hours later, both candidates told reporters they were confident ahead of Tuesday’s primary. Amatul-Wadud said she is “utterly excited” about September 4th.
" The people deserve a champion like me," she told reporters. "If we gave in to the idea that big money wins, that longevity that has failed us wins, then we might as well all sit down." As for his campaign, Neal said there was nothing to second guess.
" You know what I am going to be able to say on election night?" Neal asked. "Forty-two years and I have never run a negative ad against anybody who has run against me." I can show people and tell them what I am for and I have done that." Young activists who organized for Bernie Sanders’ 2016 presidential campaign in Massachusetts have been knocking on doors to get out the vote Tuesday for Amatul-Wadud. Neal’s extensive field organization relies on many elected local officials and their legions of political foot-soldiers, along with labor unions and experienced political operatives. 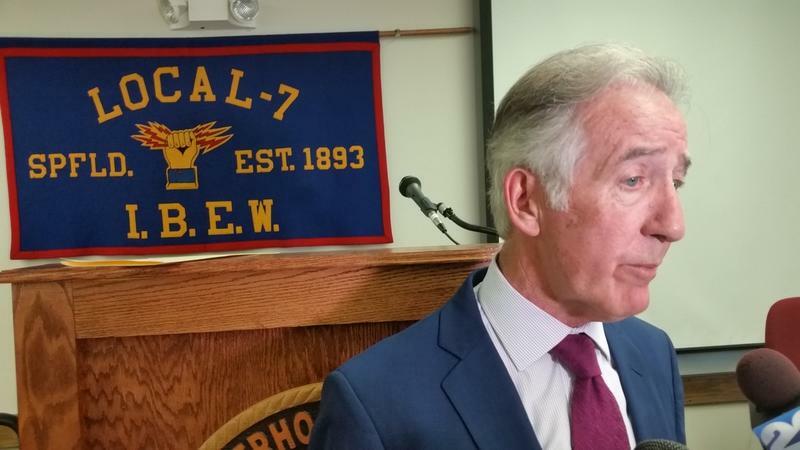 Labor leaders from across Massachusetts met in Springfield Monday to discuss a national problem that could prevent millions of workers from collecting pensions they’re counting on in retirement. 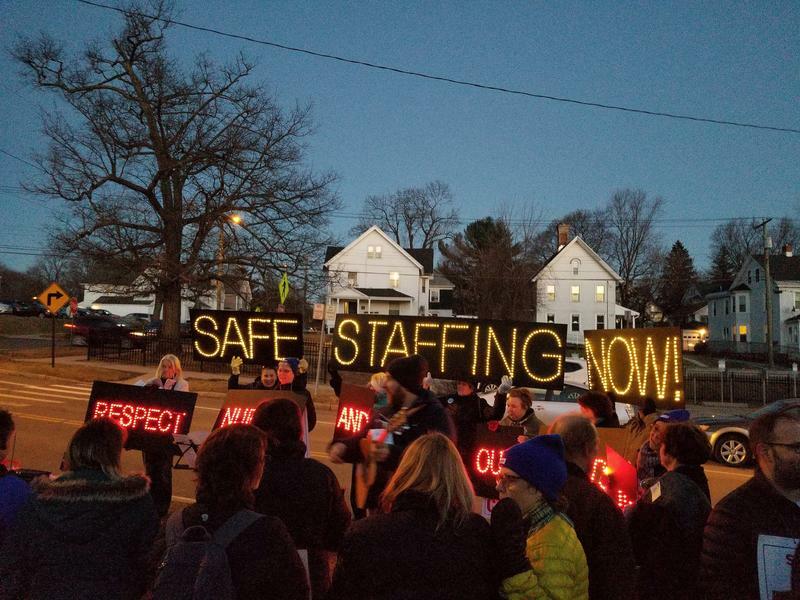 The first ballot question in Massachusetts this November will ask voters whether to adopt new staffing standards for hospitals around the commonwealth. 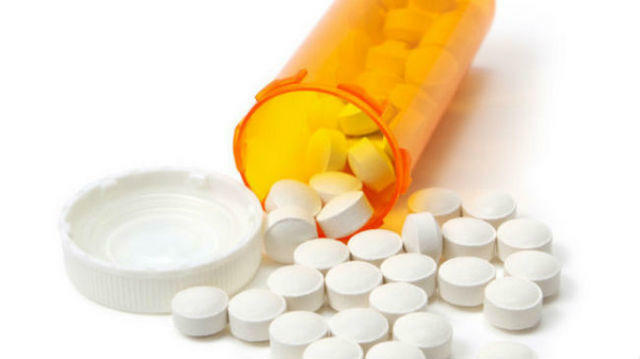 WAMC spoke to both sides of the hotly contested issue.